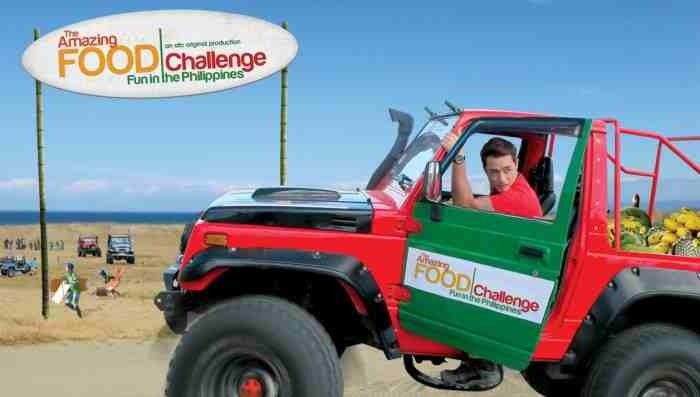 The Asian Food Channel (AFC) will be bringing back the Amazing Food Challenge: Fun in the Philippines for a second season starting 27 November, a travel and culinary reality show produced with the Philippine Department of Tourism (DOT) and the Tourism Promotions Board Philippines (TPB). Ten new contestants from across the region will travel to the Philippines to experience its culture and distill it to amazing food creations. One contestant will be eliminated per episode until only three remain to compete for the grand prize of USD 30,000 and a three day two night travel package to the island nation. Last season spanned 13 episodes featured tourism hotspots like Cebu, Bicol, Lignon Hills and Mount Pinatubo, giving a boost to the DOT’s ongoing campaigns. Derek Chang, managing director of Scripps Networks Interactive APAC, said that the Amazing Food Challenge: Fun in the Philippines is part of DOT’s Visit Philippines 2015, a year-long umbrella campaign that will thread key local and international events on tourism starting next year. “Producing compelling local content is a key focus of our programming strategy this year, and I look forward to growing our relationship into even more fruitful opportunities in the future,” Chang adds. The premiere of Asian Food Channel’s Amazing Food Challenge: Fun in the Philippines 2 is on 27 November 2014, 9pm at StarHub TV, Channel 435, which will be supported online via a new dedicated website www.asianfoodchannel.com/afcfoodchallenge2. AFC is available in the Philippines on SkyCable Channel 22, Dream Satellite TV Channel 27, Cignal Channel 26 and Destiny Cable TV Channel 71 Analog and Channel 22 Digital. Check out the life conversations happening at #PRAsia2017. .. The new supersection will focus on four areas of editorial: dress, dwell, drive, and device. Read more here. ..
Other than having a great idea, what makes a campaign successful? The will to pursue that idea - with the agency not only suggesti..